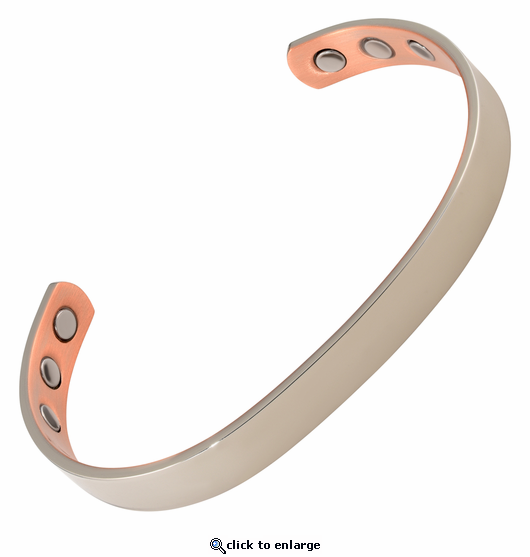 This is a solid copper magnetic therapy bracelet. Styled with shiny silver plating on top of solid copper, it has 6 powerful 3000 gauss neodymium rare earth bio north facing magnets. This nickel free copper magnetic bracelet is just a bit wider than 1/3" wide and has stainless steel magnet caps for added durability.